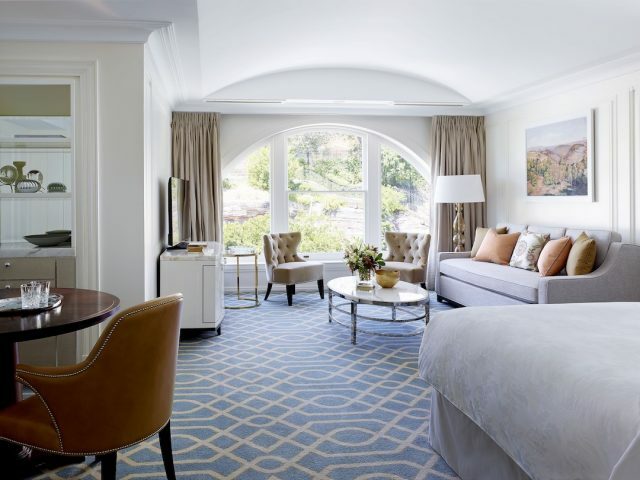 The Langham name is synonymous with luxury and the The Langham in Sydney is no different. One of the top hotels in Sydney, this 5-star stay is located in the historic Rocks district. 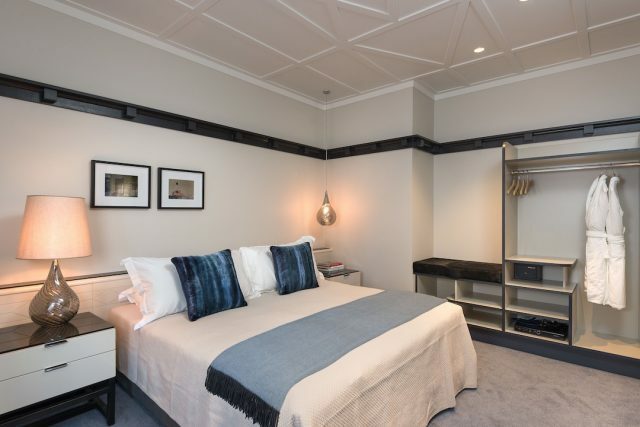 Rooms and suites are decorated with refined classical style. Choose between enjoying Afternoon Tea in the Palm Court or taking a dip in the indoor 20-metre swimming pool, complete with a resplendent star-dappled ceiling. Naturally the 5-star service extends to your dog, as part of the Pampered Pets Program. Well-behaved pets up to 20kg are welcome to join you, for an additional charge of $120 per pet, per night. 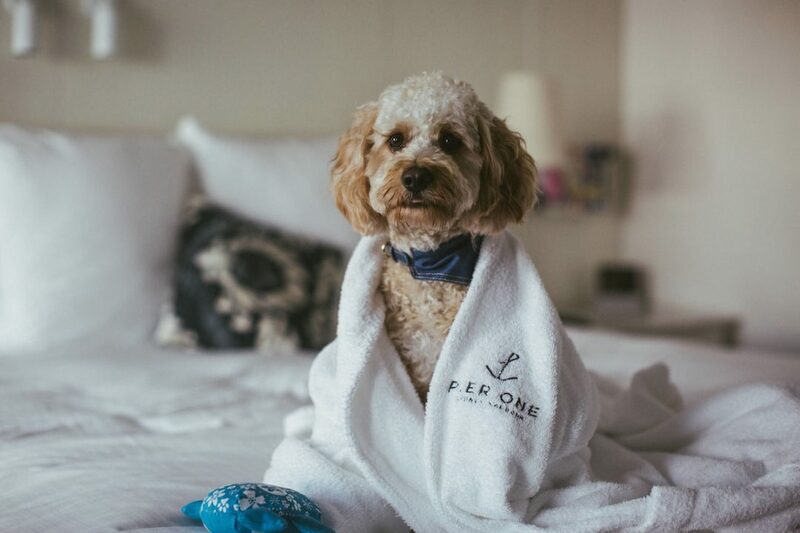 Luxury touches for your pooch include their own room service menu, with fine dining options including ocean trout sashimi and slow-cooked beef ragout. Dog sitting and dog walking services can also be arranged. Click here to book on Hotels.com. 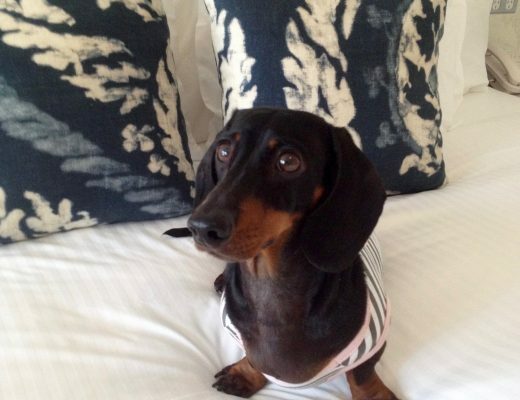 The W Brisbane hotel only opened in 2018, and has been welcoming pets from day one. Located right in the middle of Brisbane on the banks of the Brisbane River, just minutes from Queen Street Mall and the Gallery of Modern Art, the hotel offers up luxury with a bold, contemporary touch. Highlights include the WET Deck rooftop bar and pool, an outpost of Three Blue Ducks and its signature Whatever/Whenever service. 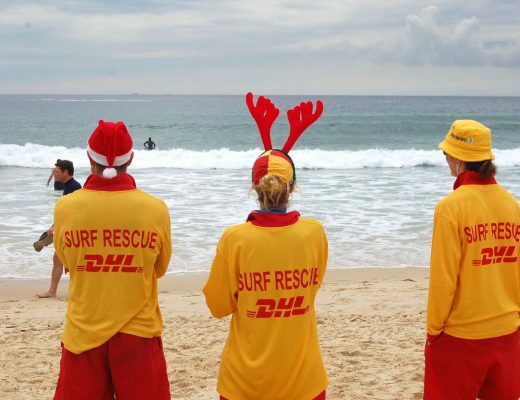 Truly nothing has been overlooked in the service that they provide for four-legged friends. Dogs up to 18kg are welcome to join you, for an additional $50 per night fee plus $150 cleaning fee for the entire stay. (It’s tempting to make it a long stay!) A custom dog bed is provided, along with food and water bowls, pet toys and treats, local pet information and even a “Pet In Room” door sign. And your pooch won’t miss out on receiving their own turndown treat! 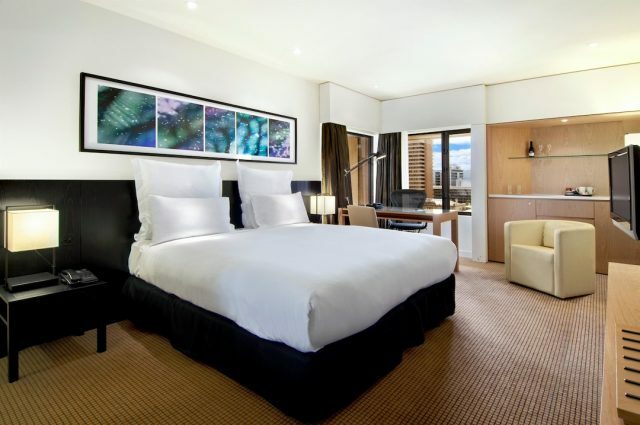 Situated in the heart of Adelaide, right on Victoria Square, the Hilton Adelaide offers up understated luxury in the South Australian capital. Stepping into the marble lined lobby, the service is impeccable, while facilities on offer include an outdoor pool, tennis court and Executive Lounge on the 16th floor. Head outside to the Gouger Street restaurant precinct, or stay in to dine at the Coal Cellar + Grill restaurant or enjoy room service. Your well-behaved dog is welcome to join you for your stay. As pet-friendly rooms are limited, contact the hotel after booking to be allocated a pet-friendly room. Note that there is a weight limit of 34kg, plus a limit of one dog per room, and they mustn’t be left unattended at any time. (Perhaps enquire with the concierge about pet sitting services for that special dinner, or select a pet-friendly restaurant?) There is also a $90 charge per night, as well as a $500 fully-refundable deposit taken at check-in. Pier One Sydney Harbour is perfectly positioned for the ideal Sydney getaway: right upon the harbour in Dawes Point, almost underneath the Harbour Bridge towering above. 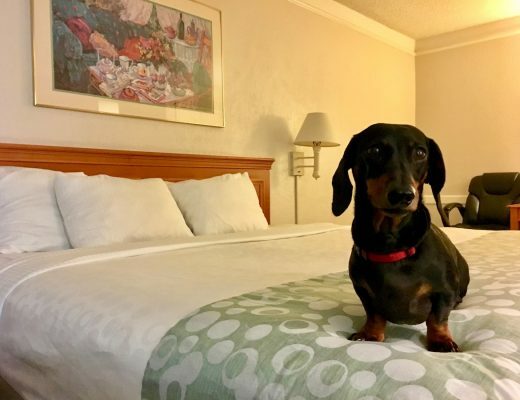 And if your dog joins you for your stay, the rooms reserved for pets are some of the best: Waterside rooms, opening directly out onto the wharf. It’s just a short walk to Barangaroo Reserve, perfect for on-leash dog walking. Or head along the harbour in the opposite direction to Circular Quay, the Museum of Contemporary Art and the Sydney Opera House. Up to two pets are welcome in your room, with a combined weight limit of 20kg. There is an additional charge of $90 per pet, per stay, which covers cleaning plus also the provision of a dog bed, food and water bowls. For an additional fee, you can also have your mini bar stocked with dog-friendly snacks. And best of all the main bar (where breakfast is served or you can enjoy a drink later in the day) has a large outdoor seating area, meaning you can take your time with your dog by your side. Spicers is best known for their luxury countryside retreats scattered around Eastern Australia, some of which are pet-friendly. 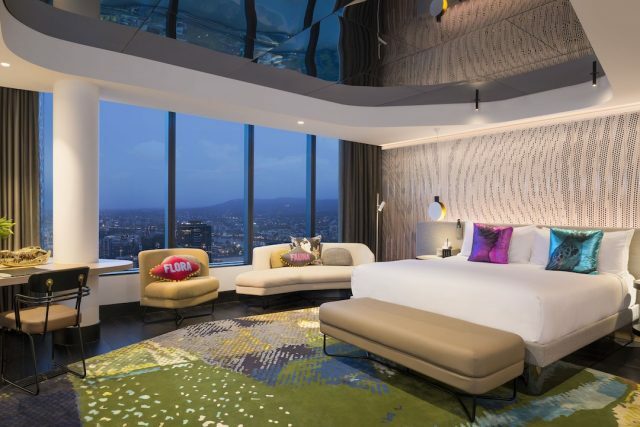 So naturally for their Brisbane hotel, they have delivered a far from typical city hotel. Petite in size, with just nine rooms and eight suites, the property still delivers the Spicers luxury touch, but in the fashionable Brisbane suburb of New Farm. On-site facilities include a rooftop bar and library, plus a restaurant offering alfresco dining on a typical Queenslander verandah. Best of all, this property also welcomes dogs. Dogs are permitted to stay in Balfour Suite 10 and 11, for an additional charge of $100 per night. 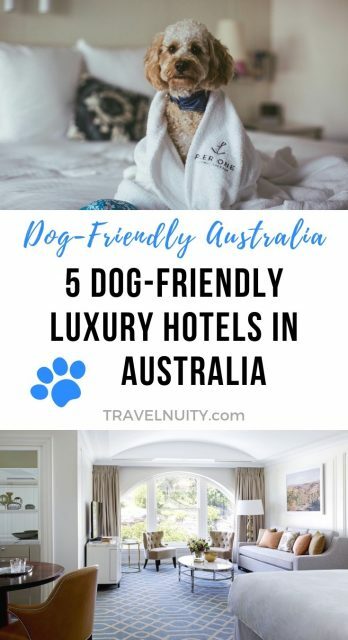 There is a size restriction of 25kg, plus check with the hotel whether your dog is welcome to join you in dining outdoors or should stay inside your suite. To burn off some energy, head with your pup to the nearby Brisbane River Walk for on-leash exploration.